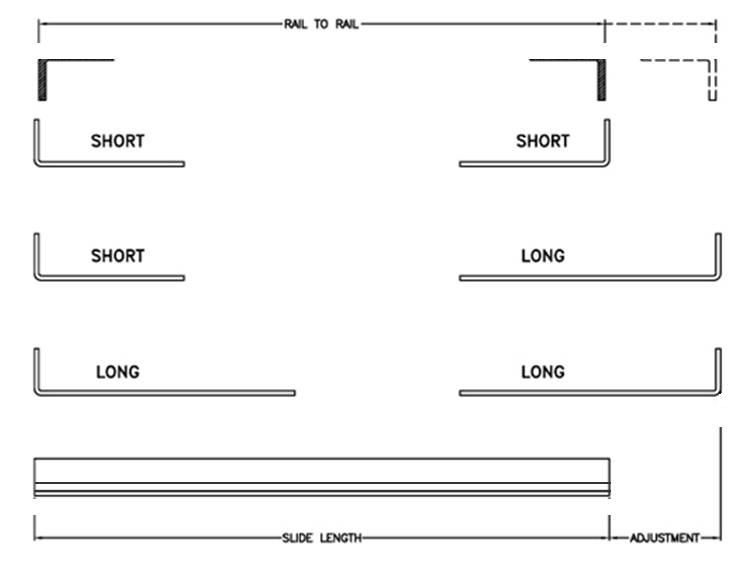 Jonathan Engineered Solutions slide / slide rails can be mounted in several fashions. 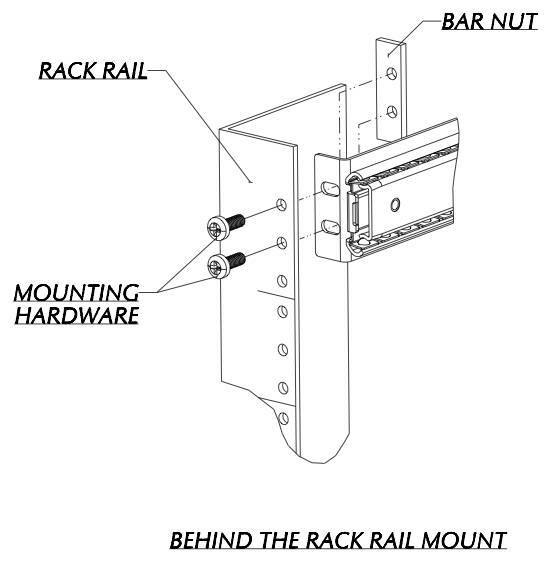 2 popular mounting methods are: Hard Mounted; directly to stationary / cabinet structures, or Bracket Mounted; with the use of RETMA / EIA-ANSI Mounting Brackets. Click here to download Bracketry PDF. JES offers brackets with multiple mounting options depending on slide height. 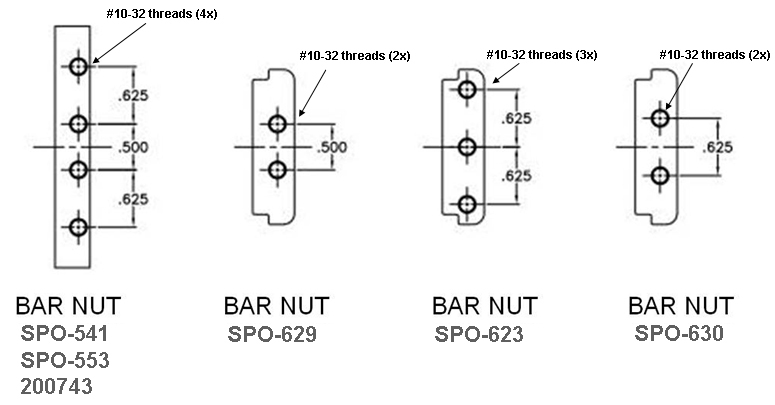 Most JES slides will mount to the centerline of the bracket (1). Other JES slides will mount to locations slightly above the centerline (2) or to locations further away from the bracket centerline (3). 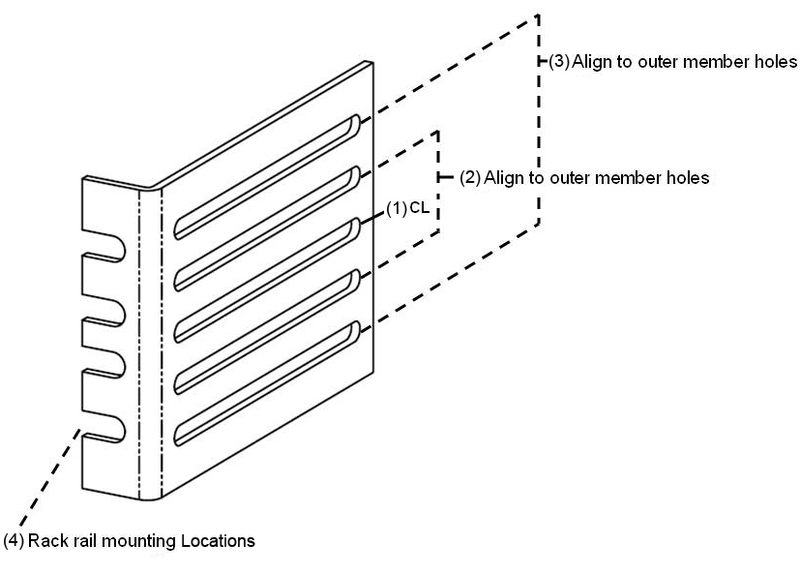 In some slide to bracket installations, it is common to have the front bracket use only the centerline (1) and the rear of slide to use hardware locations shown either (2) or (3). 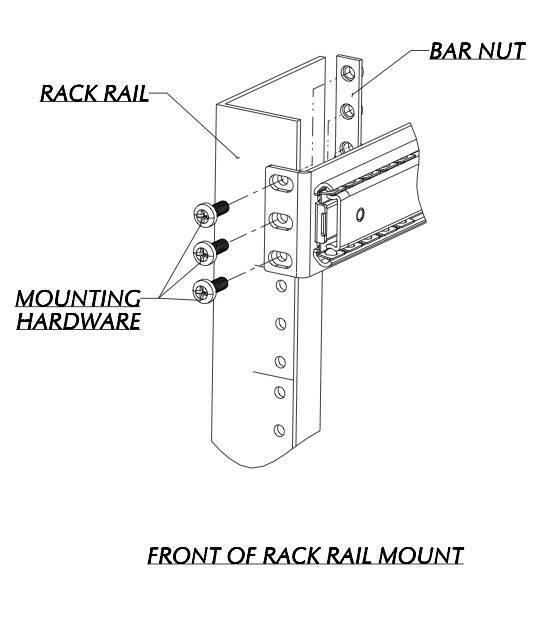 In consideration of attaching a bracket to the slide, will properly locate the slide and bracket in relationship to the pitch pattern on an enclosure rail (4).